All CRN yachts for sale worldwide are listed below, scroll down to view them. Costruzioni e Riparazioni Navali (CRN) constructs fully customized steel and aluminum luxury megayachts from 54 to 85 meters and builds two lines of luxe semicustom composite yachts. The 40-meter line is a planing hull and the 43-meter line is a displacement. CRN, has traditionally built larger custom metal yachts, but is also the site to finish out-fitting the fiberglass “Custom Line”. 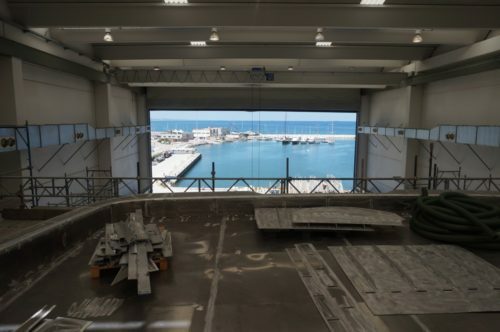 The facility of 80,000m2 has the ability to build up to 6, significant sized yachts and the yard claim they are capable of building to 100m, although the largest build to date measures 80m. Founded in 1963 by Sanzio Nicolini, the first line out of the shed was the 75-foot (23-meter) series known as Super Conero. 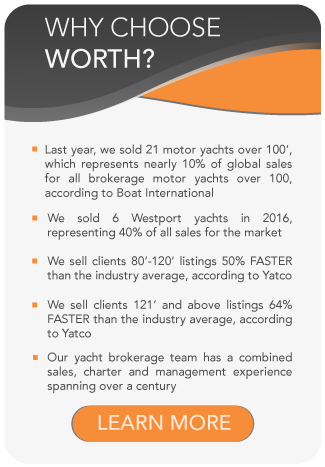 Larger vessels followed, and the company joined the Ferretti Group in 1999. Today the Ancona, Italy, shipyard—which is right on the Adriatic Sea—encompasses 861,113 square feet (80,000 square meters), with 269,098 (25,000) of that covered. 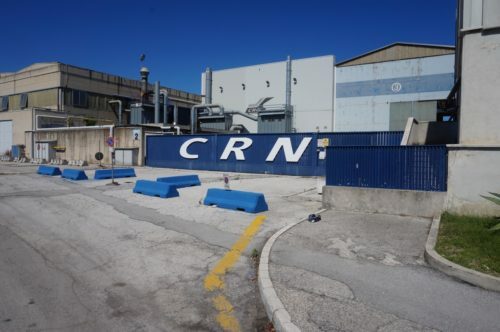 CRN mainly works in conjunction with Zuccon International Project, but also has completed yachts with designers such as Alexandre and Cristina Negoescu, Fabrizio Smania, and Nuvolari-Lenard. Currently the yard has a 74m, 2,300 grt vessel with a high end Andrew Winch interior, which is being built specifically for charter in mind. This boat will be delivered in Spring 2017. There is a 78m vessel, on the same hull platform, which was recently delivered to the yard by the metal fabricator (hull and superstructure) and is in early days of production with anticipated delivery of summer 2018. 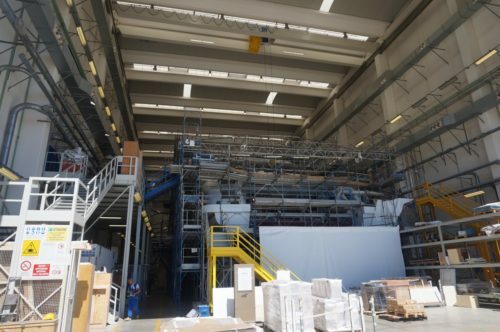 There is a 50m hull that is also in the early days of production and the yard reports just having signed a 62m project. There was one fiberglass Navetta, whose hull and superstructure had yet to be married. It was reported that all of these vessels have been sold to clients. The yard currently has capacity to build another large yacht. 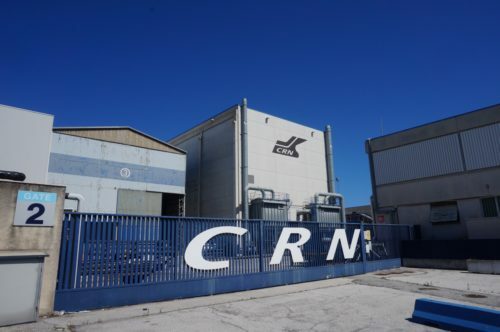 Interestingly enough the CRN facility is also used to expand and build the larger sized vessels of other Ferretti brands, which includes a 50m Riva and a 142’ Pershing. One of CRN’s new-to-charter yachts is the 196-foot (60-meter) 2011 launch Darlings Danama, with exterior styling by Zuccon International Project and a contemporary interior by Alexandre and Cristina Negoescu. This beautiful megayacht accommodates 12 guests in six staterooms, as well as 16 crew. Two Caterpillar engines propel her to a top speed of 14 knots, at which she has a 3,000-nautical-mile range. Other notable yachts include the 140-foot (43-meter) 2007 launch Emerald Star—first to feature drop-down terraces—the 138-foot (42-meter) 2009 launch Blue Eyes, the 236-foot (71.9-meter) 2009 launch Azteca, and the 2011 debut of the Dislopen series, which features the feeling of an open yacht with the comfort of a full-displacement superyacht. For more information on our CRN yachts for sale, a new-build CRN or to charter a CRN yacht, email the team or call 561.833.4462.